Most people by now may be aware of the non-resident capital gains tax withholding (‘Withholding Regime’), which applies to vendors disposing of certain taxable property. Broadly, the Withholding Regime was introduced to allow the Australian government to obtain tax in respect of foreign vendors. However, the Withholding Regime applies to most transfers of real estate in Australia unless an exception applies. An aspect of the new Withholding Regime that has not gained much attention is its implications for SMSFs. This article discusses the relevant background and how the Withholding Regime impacts SMSFs. What is the NR CGT Withholding regime? The Withholding Regime applies to transactions entered into from 1 July 2016. Broadly, a purchaser is required to withhold 12.5% of the value of taxable Australian real property, or an indirect Australian real property interest that provides company title interests, with a market value of $750,000 or more, unless the vendor shows the purchaser a clearance certificate from the ATO. Note that for contracts entered into between 1 July 2016 and 30 June 2017, the relevant market value threshold was $2 million, with the withholding rate being 10% instead of the current 12.5% rate. unless a transaction referred to in paragraph (a) is excluded under section 14-215. Note: You must pay the amount on account of income tax possibly payable by the entities on their capital proceeds resulting from your acquisition of the CGT asset. a lease over real property in Australia if a lease premium has been paid for the grant of the lease. For SMSFs, the Withholding Regime is likely to be relevant whenever an acquisition or transaction occurs with regard to real estate in Australia. Typically, the property lawyers handling the conveyancing related to a contract of sale will assist with complying with the Withholding Regime. However, there are a number of transfers discussed below that SMSFs and their advisers need to be on top of to ensure they comply with the law. Section 14-210 of the TAA sets out the test on whether an entity is a relevant foreign resident at the time of the transaction. As with all tax residency issues, this is a complex and multifaceted test and expert advice should therefore be sought. Section 14-215 of the TAA lists a number of other exclusions, including where an amount is already required to be withheld from a withholding payment relating to the transaction. The key impact of the Withholding Regime is that it will require an SMSF Trustee purchasing property in Australia to withhold 12.5% of the purchase price (more particularly defined as the first element of the CGT asset’s cost base) just after the acquisition, unless a clearance certificate is obtained from the vendor or another exception under the TAA is satisfied. The Australian resident entity or its representative (eg, the SMSF trustee or its tax agent) can complete an online application for Australian residents available from the ATO’s website. It is the vendor’s responsibility to obtain the clearance certificate and to provide it to the purchaser at or before settlement. Where a valid clearance certificate is provided, the purchaser is not required to withhold. It is expected that, in many cases, a clearance certificate will be made available by the vendor in the usual conveyancing process and that no withholding will be required. However, if a clearance certificate is not provided, eg, the vendor is a non-resident, or another exception is satisfied prior to settlement, then a withholding obligation falls on the purchaser of the property. Note, however, that the $750,000 threshold does not apply in the case of an option or right to acquire property: see s 14-200(1)(c)(iii). Thus, all acquisitions of options and rights to acquire property are covered by the Withholding Regime unless an exception applies (other than being below the $750,000 threshold). A clearance certificate will generally be required where the property is has a market value of $750,000 or more — that is, the Withholding Regime is deemed to apply until the vendor issues the purchaser with a clearance certificate. Broadly, while the regime was introduced to tax nonresidents, the Withholding Regime applies to everyone including Australian residents until the vendor obtains a clearance certificate or satisfies another exception. Furthermore, it is the vendor’s responsibility to obtain the clearance certificate and to provide it to the purchaser prior to or at settlement. Without being presented with a valid clearance certificate, the purchaser will be required to withhold and remit 12.5% to the ATO if no other exception applies. On the other hand, where a valid clearance certificate is provided, the purchaser is not required to withhold. 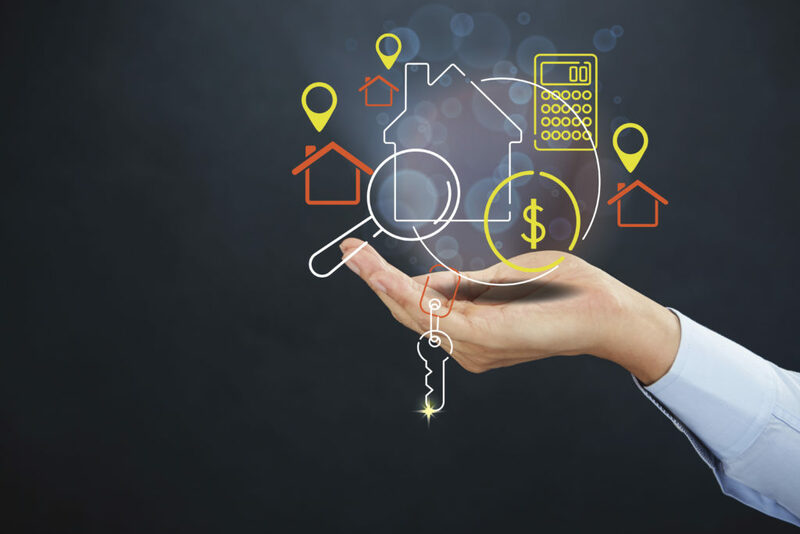 Given the current values of property, particularly in most Australian capital cities, it is clear that many transactions will be covered by the Withholding Regime. Traps –– how might SMSFs otherwise be covered? Investment in Australian real estate via SMSFs is still popular. Accordingly, where an SMSF trustee acquires real estate in any manner, the SMSF trustee must be mindful of the potential application of the Withholding Regime. A transfer in kind of business real property by a member to an SMSF trustee. The SMSF trustee becomes the owner of the property at this time. Even if the transfer is for no valuable consideration, the Withholding Regime is still applicable and a clearance certificate must be provided to the SMSF trustee by the member. A lump sum payment in kind of residential property from an SMSF trustee to a member. The member becomes the owner of the property at this time. As noted above, the Withholding Regime must be managed as a change of ownership occurs, and a clearance certificate must be provided to the member by the SMSF trustee. The transfer of property from a retiring SMSF trustee to a new individual or corporate trustee or to the continuing individual trustee(s). Note that one of the real hassles of having individual trustees is the possibility of ongoing retirements and appointments in an SMSF’s lifetime. For example, if an individual trustee dies, the assets must be transferred to the surviving trustees (which may require a new individual trustee or a corporate trustee to be appointed). On each change of trustee, the title must be transferred and thus, the Withholding Regime needs to be managed. There may, however, be certain exceptions available where an asset passes to a legal personal representative on the death of an individual or where an individual acquires the asset upon the death of an individual as the surviving joint tenant(s). Naturally, expert advice should be obtained. What amount must be withheld and paid to the ATO? If a withholding obligation arises, eg, a clearance certificate cannot be obtained, a further analysis must be undertaken by the purchaser to determine what constitutes the first element of the asset’s cost base. The first element is the amount paid for the asset and the market value of any other property you gave, or are required to give, in respect of acquiring it under s 110-25(2) of the Income Tax Assessment Act 1997 (Cth). Note that this amount (i.e., first element of the CGT asset’s cost base) may, in some cases, differ significantly to the asset’s market value. Thus, where a withholding obligation arises, care is required to ensure that the correct amount is withheld. Moreover, further complexities may arise if the transaction is subject to goods and services tax (‘GST’). Accordingly, expert advice should be obtained. The relevant amount is due for payment to the ATO on or before the day you become the owner of the asset, which is typically settlement in a sale transaction. Various penalties apply for non-compliance with the Withholding Regime; these include administrative penalties in relation to clearance certificates where a person makes a false or misleading statement in connection to the Commissioner, and penalties for failing to withhold. The offence of failing to withhold is one of strict liability, meaning that a potential withholder will be liable for the offence even if his or her failure to meet a withholding payment obligation is unintentional. SMSF trustees, members and advisers should ensure they are aware of their obligations under the Withholding Regime and should take appropriate action to ensure that these obligations are appropriately satisfied. Expert advice should be sought where there is any doubt.